What is the price of kopi luwak coffee per cup and per pound? What is the meaning of kopi luwak? 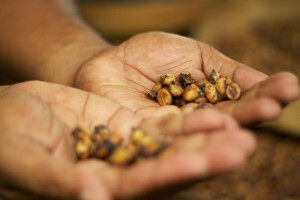 How is kopi luwak coffee processed? Why is kopi luwak coffee the most expensive coffee in the world? What other expensive coffee flavors exist? How much kopi luwak coffee is produced per year? Where is kopi luwak coffee for sale? Which kind of coffee species is used for kopi luwak? Is drinking kopy luwak Coffee hygienic? Do any other poop coffee varieties exist? How much caffeine is contained in kopi luwak coffee? 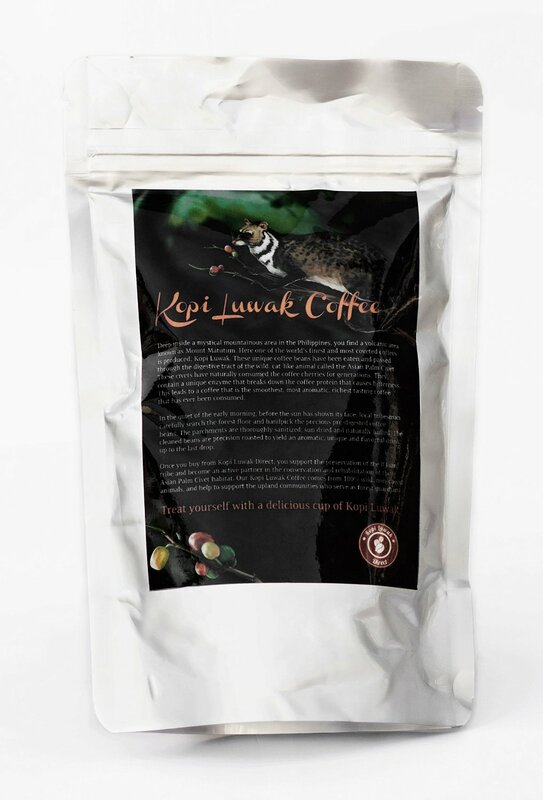 Does kopi luwak Coffee always coming from wild palm civet cats? What other names are used for kopi luwak coffee? Is kopi luwak the best coffee in the world? What is the taste of kopi luwak coffee? Is drinking kopi luwak coffee ethical? Is kopi luwak coffee halal (allowed for muslims)? Is kopi luwak available at Starbucks? 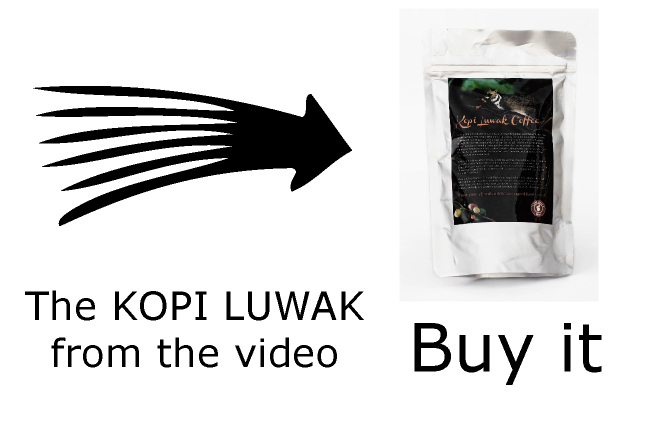 Where can I buy kopi luwak coffee? 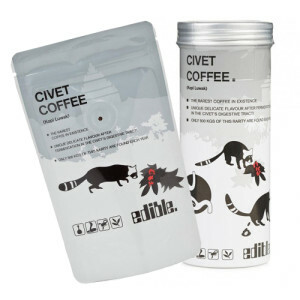 How can I be sure to buy kopi luwak coffee from wild civet cats? Where can I get more information about this coffee? Kopi luwak is known as the most expensive coffee in the world. The price for a single cup of kopi luwak coffee runs $ 35 to $80 and a one pound bag of beans costs $100 to $600. Buy it here! It is an Indonesian name. Kopi is the word for coffee. Luwak is the local name for the palm civet cat which is involved in the making of kopi luwak. First, the palm civet cats eats the premier coffee berries. During the digestion process the coffee seed, commonly known as coffee beans, are not digested by the civet. When they are defecated after about 24 hours, local farm people collect the droppings and separate the coffee beans from the feces. From that point on the coffee beans are handled like any other coffee beans: they are washed, dried, pounded (to remove the outer skin), sorted and finally roasted. Mostly because of the unusual processing. It is estimated that just 500 – 1000 pounds, 250 – 500 kg, are processed from wild civets per year. 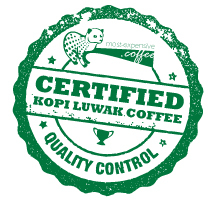 Therefore, genuine certified kopi luwak coffee is a very rare delicacy. An extremely small supply means a high demand which makes the price rise astronomically. Buy it here! Kopi luwak is by far the most expensive coffee on earth. Other expensive coffee varieties are Jamaica Blue Mountains coffee and Kona coffee from Hawaii. 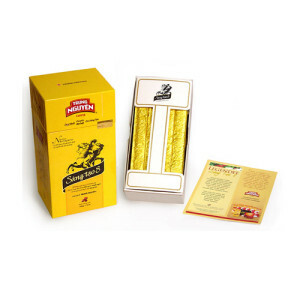 Jamaica Blue Mountains is produced in the Blue Mountain region of Jamaica at elevations between 3,000 and 5,500 feet. It’s price reaches up to $40 a pound. Kona coffee is cultivated on the volcanic slopes of Hualalai and Mauna Loa in Hawaii. Only coffee from this very small area can be described as Kona coffee. The price level of this Hawaiian coffee per pound reaches $30 to $55. It is estimated that just 500 – 1000 pounds or 250 – 500 kg, of wild kopi luwak beans are processed per year. However, about 50 tons of farmed kopi luwak beans are produced and processed annually in animal farms all over Southeast Asia. It is available in several coffee stores worldwide: for instance in New York, LA, Chicago, Milano, Jakarta, San Francisco, Singapore and Vienna. We are building a list of coffee shops around the globe where you can buy kopi luwak coffee. You can also purchase it online. However, we do not recommend buying it from sellers which are not listed on our website. 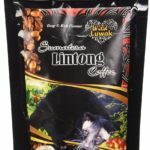 If you want to buy kopi luwak beans, please see our list of certified and proven kopi luwak sellers. Kopi luwak is not the name of a special coffee species. The palm civet cat eats coffee cherries from all coffee species which are available to it; in Southeast Asia mostly Arabica and Robusta. In the Philippines, arrenga civet coffee – a variant of kopi luwak coffee – is made from Liberica beans. Most people prefer kopi luwak made from Arabica coffee beans because it tends to have a more unique taste. Yes, it is hygienic and sanitary due to the washing, roasting and brewing of the beans. 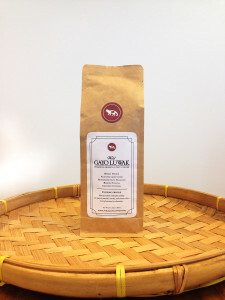 Drinking kopi luwak coffee is as safe as drinking any other coffee. Yes, in Thailand Arabica coffee beans consumed by elephants and collected from their feces is known as Elephant Dung Coffee or Black Ivory Coffee. Only about 200 kilograms of this coffee are available per year. In Brazil a bird poop coffee has been invented. This coffee is produced by the jacu bird. Kopi luwak contains less caffeine than normal coffee: 0.5% compared to regular coffee which reaches a caffeine level of 1-2%. Due to the high price of kopi luwak coffee, mass farming and force-feeding of civet cats started to rise tremendously in the last few years. While some farms treat their civets well, many farmers participate in animal mistreatment. The conditions are often deplorable with the civets caged like chickens. It is estimated about 50 tons of caged kopi luwak coffee are produced on farms annually. Only 250-500 kilograms or 500-1000 pounds of kopi luwak comes from wild civets. 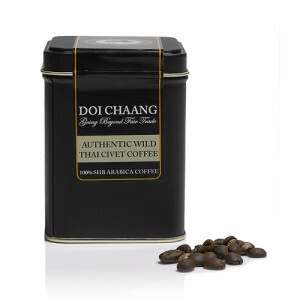 Subsequently, wild kopi luwak coffee is very hard to find. Most products found on the Internet are promoting either fake kopi luwak or kopi luwak coming from caged animals. If you want to find wild kopi luwak, click here to see a list of certified wild kopi luwak producers. 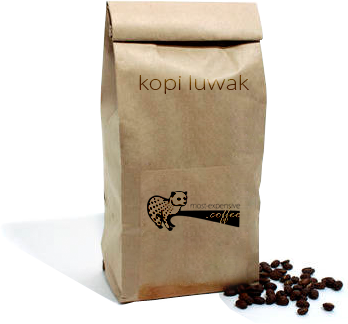 Kopi luwak coffee is also known as civet coffee and cat poop coffee. In the Philippines it is known as coffee alamid; in Vietnam the name ca phe chon is used. Buy it here! Taste is subjective, however some people like the soft aroma of kopi luwak coffee. But most people would admit buying kopi luwak on a regular basis is not worth the price. Taste and strength of kopi luwak coffee depends on the type of coffee beans eaten by the palm civet cat. 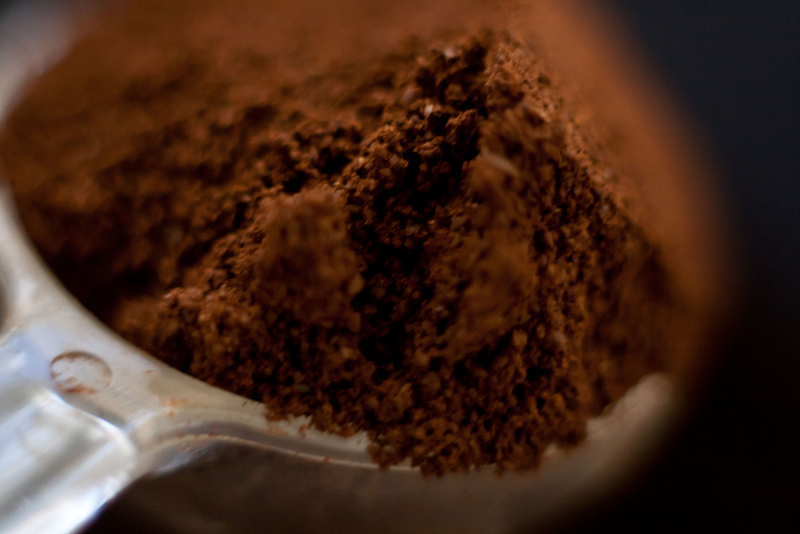 It is often described as earthy and smooth and less bitter than regular coffee. 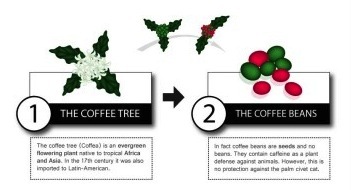 You should be aware that cage farming is an often cruel method for making kopi luwak with low quality coffee beans. However, if you make certain to buy wild kopi luwak from certified sellers (WSPA, Rainforest Alliance or UTZ Certified), there is no ethical problem with buying kopi luwak coffee. Please see our list of certified kopi luwak sellers, before you buy any civet coffee. Yes, kopi luwak coffee was designated halal by Indonesia’s top Muslim clerical body the Majelis Ulama Indonesia (MUI). This means drinking civet coffee is permissible according to Islamic law. It was unclear for some time if kopi luwak is halal because it was suggested the processing inside of the civet could make the beans unclean or haraam. However, it was determined to be halal as long as the coffee beans are washed before roasting and grinding. Buy it here! It has long been rumored kopi luwak coffee is available in some Starbucks stores. Certainly Starbucks bought kopi luwak for tastings within the company, however it has never been sold in a Starbucks shop. Certainly, we will let you know, if it will be available at Starbucks anytime soon. 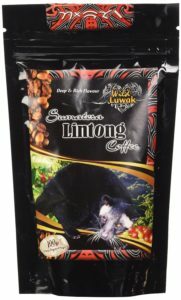 Please NEVER EVER trust any kopi luwak product, which is NOT listed on this website! For more details CLICK HERE. You can be sure, if you buy your kopi luwak from sellers listed on our website. Click here for more details. If you have any further question regarding kopi luwak coffee please don’t hesitate to contact us.